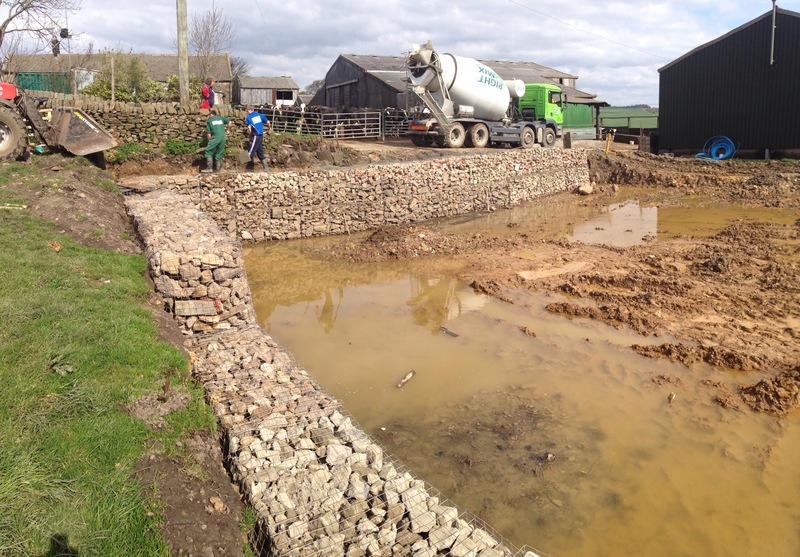 The new dairy site is looking good ! 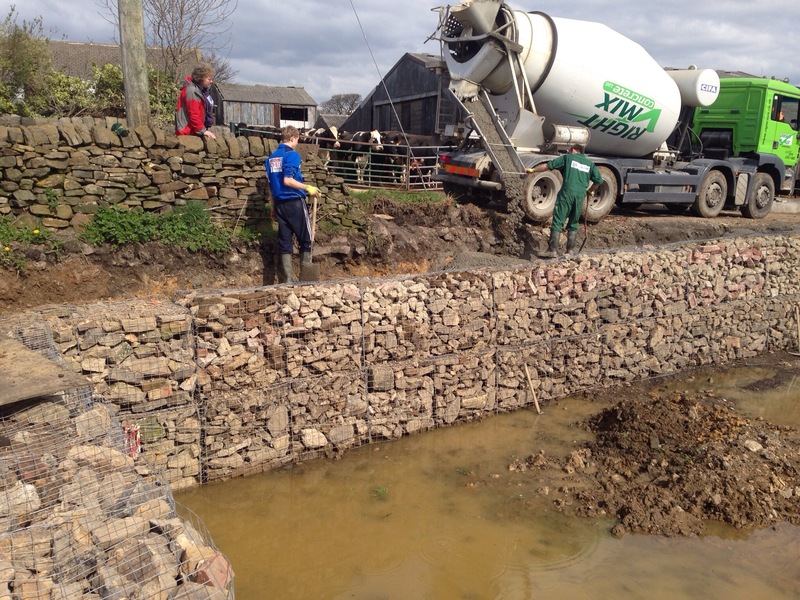 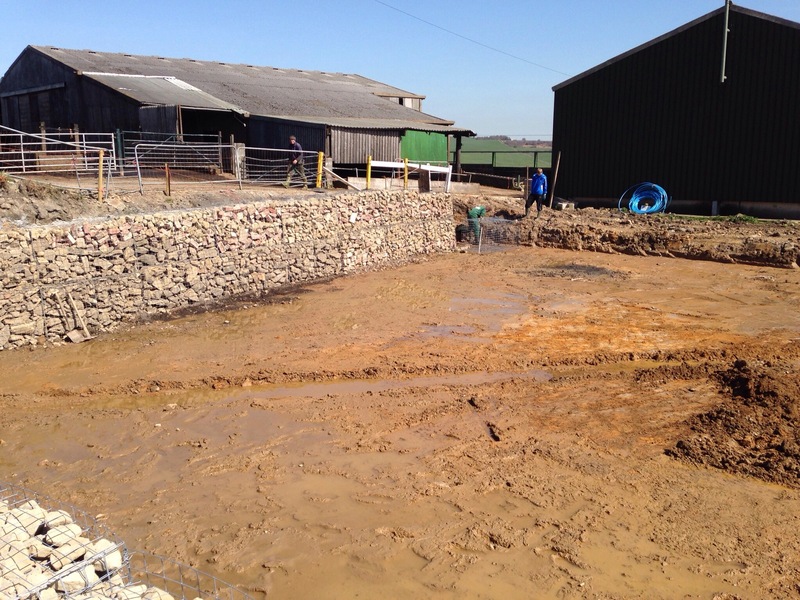 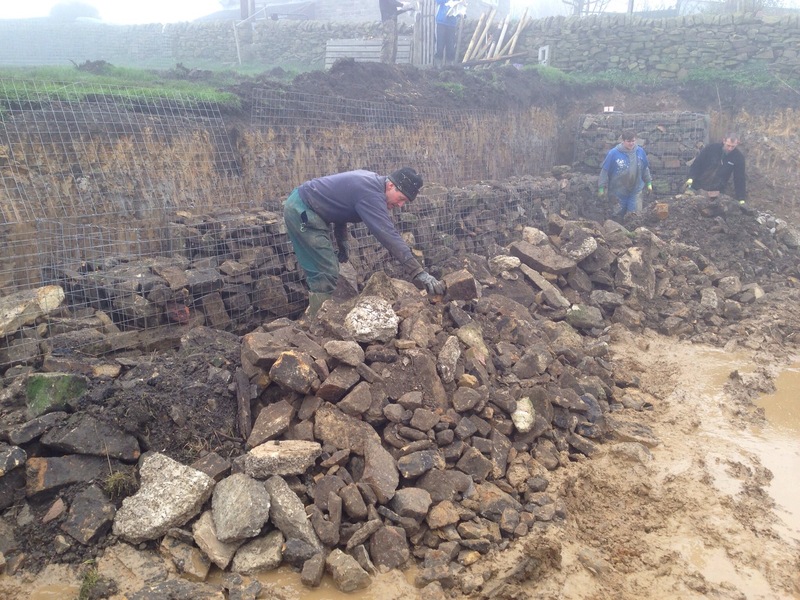 More Gabion baskets put in place & filled with stone, this time to form the wall of the cow track. 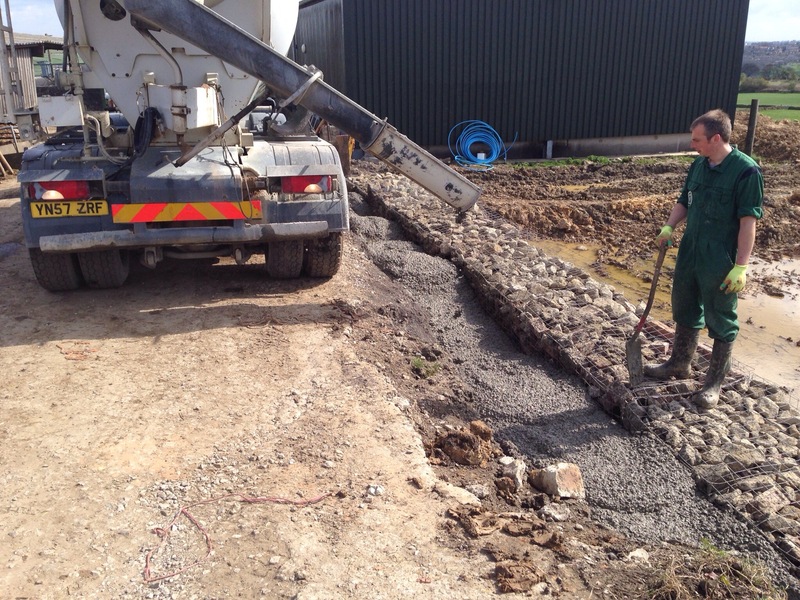 Lots of soil moved to give more working space. 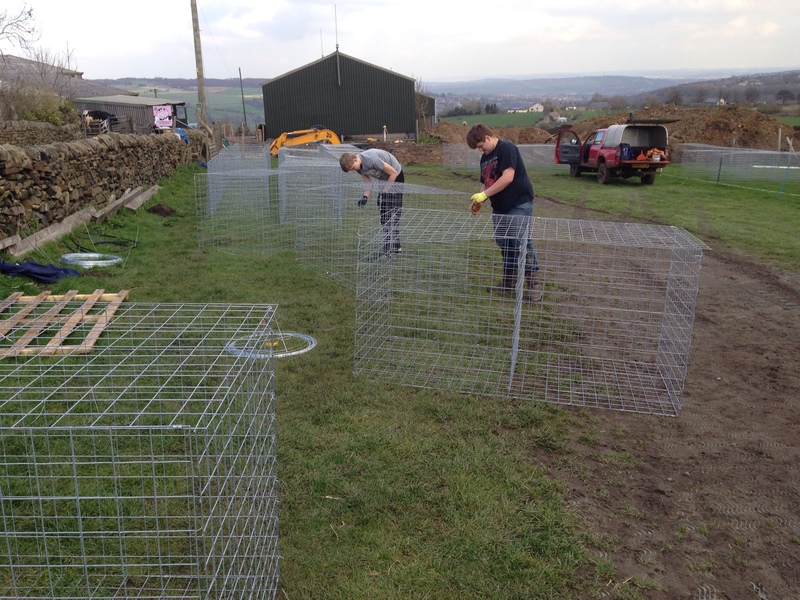 Dan AKA @OurCowMollyMilk is positioning the last few Gabion cages they will then be filled with stone. 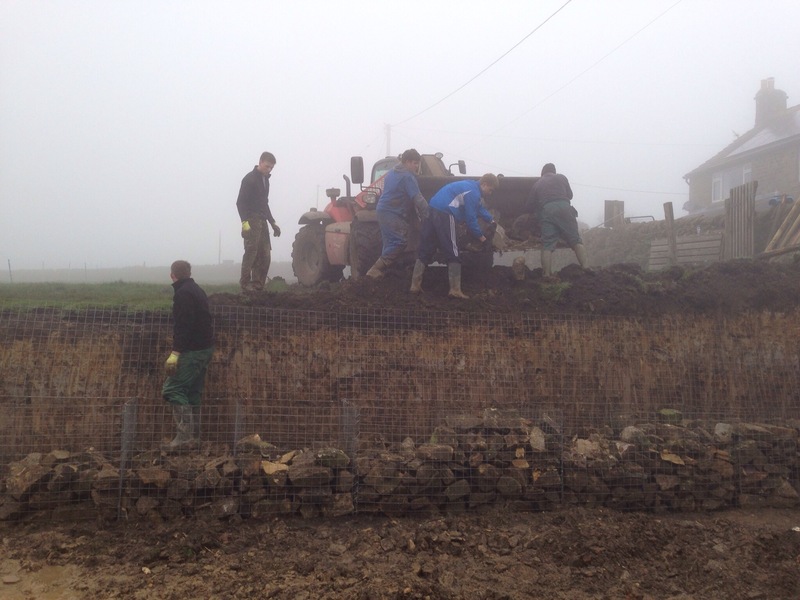 The digger is doing a loverly job of flattering the site off. 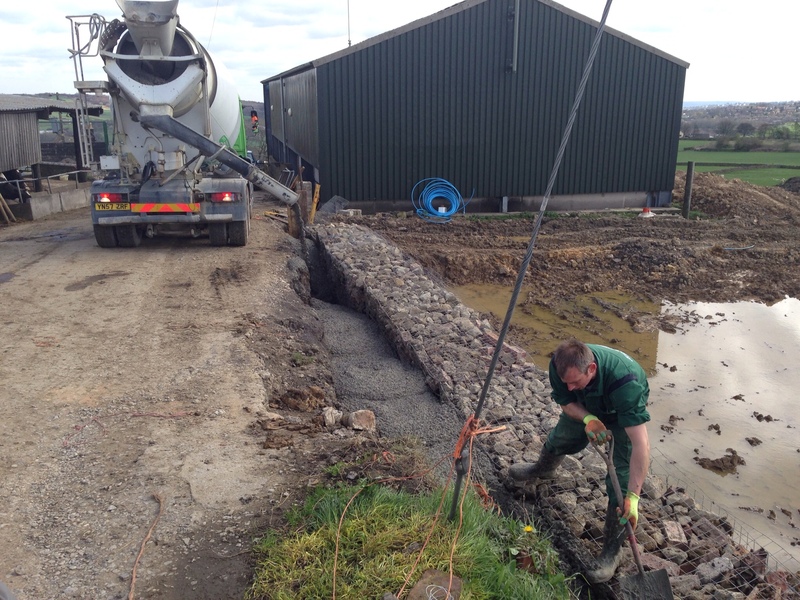 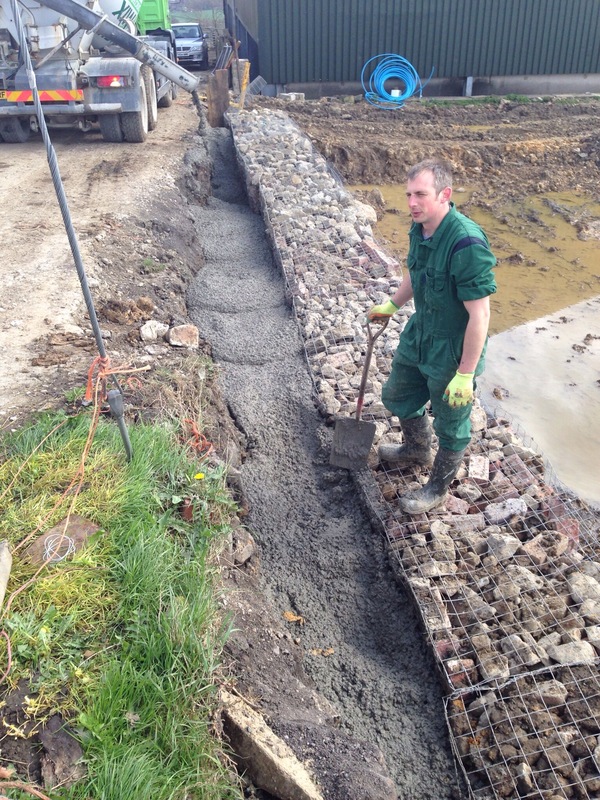 Concreting the gabion baskets in on the lane side. 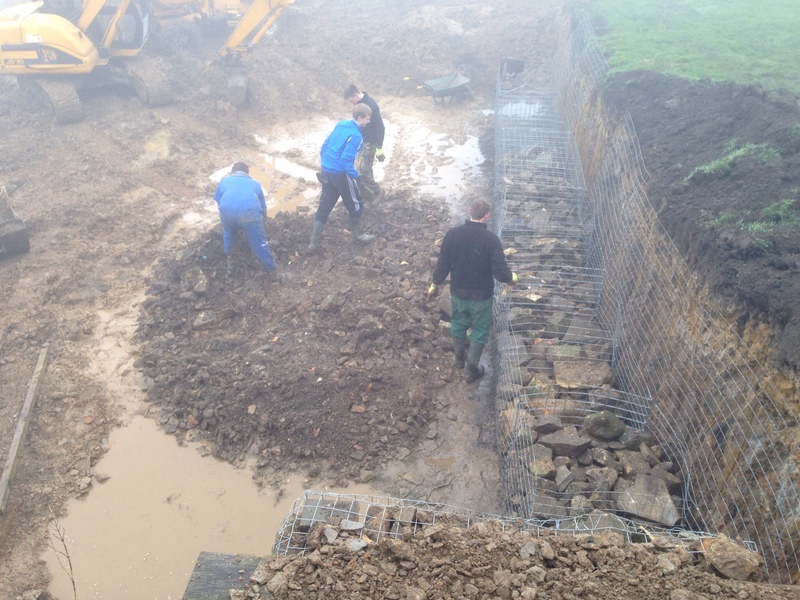 Most of the gabion baskets are now in place, today we had the first load of concrete arrive to fill in the gap between the baskets & the lane side. 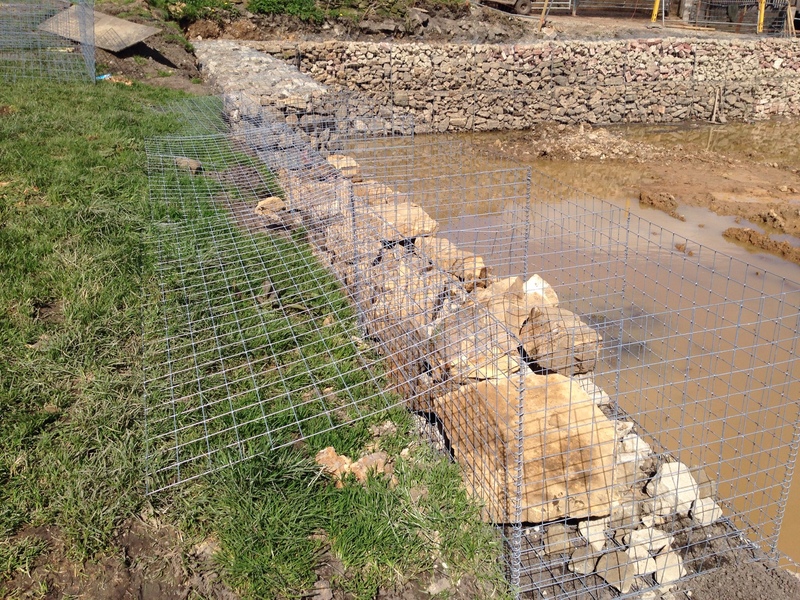 Gabion baskets, the boundary wall for the new dairy. 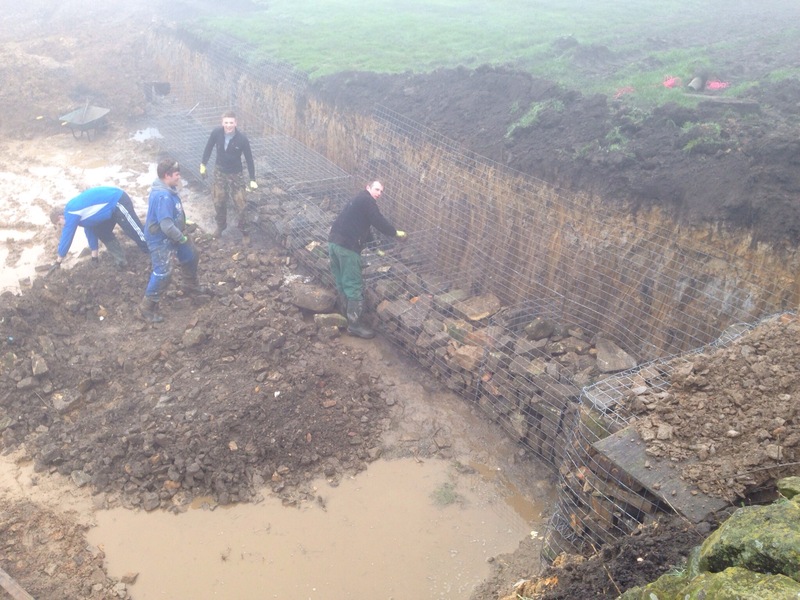 Digging out to the correct level. 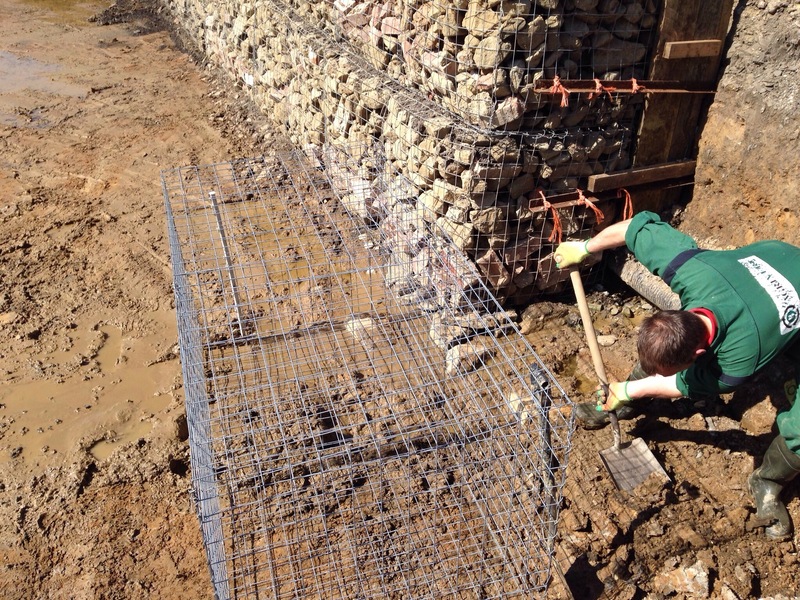 Building up the Gabion baskets which will be filled full of stone to form the perimeter wall.